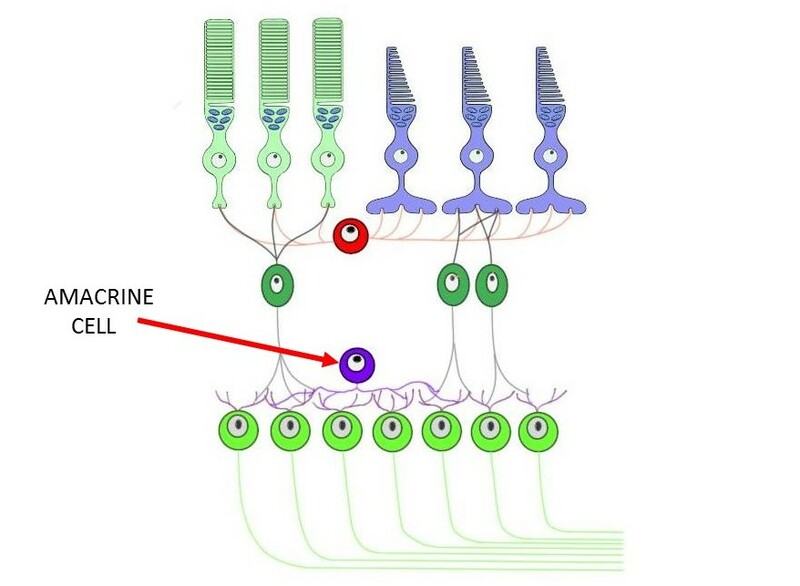 cell layers of the retina with an arrow designating an amacrine cell. neuron in the retina that acts as an interneuron between bipolar and ganglion cells. Amacrine cells receive signals from bipolar cells and are involved in the regulation and integration of activity in bipolar and ganglion cells.